Now in its sixth year, the Scottish Alternative Music Awards has grown to be at the centre of Scotland’s music calender. Founded in 2010 by Richy Muirhead, the ceremony has grown year on year, moving from one of Glasgow’s smallest venues, Classic Grand, to its current home at The Garage. This year, the SAMAs have been more prominent than ever, curating monthly events in partnership with big-name sponsors in various venues, climaxing this Thursday 8th October. Arguably the most important aspect of the awards is that it celebrates a wide spectrum of alternative music – everything from Hip Hop to Metal – with previous nominees including CHVRCHES and Young Fathers. This year, the nominees are more far-reaching than ever, allowing for tough, yet undoubtedly friendly and supportive, competition. 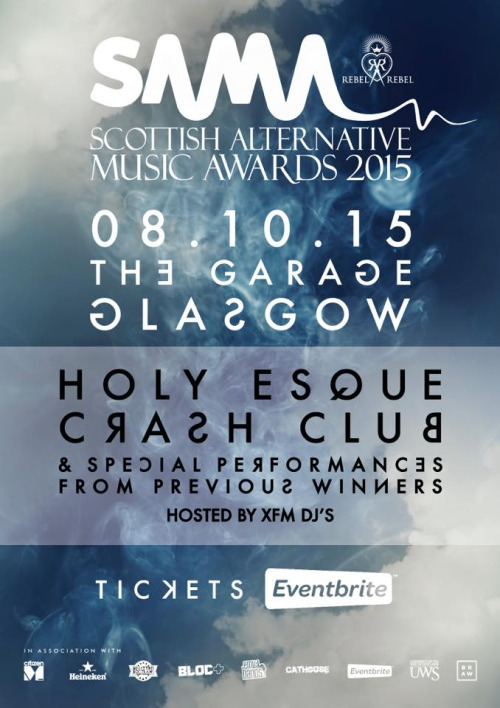 The SAMAs take place on Thursday 8th October at the Garage in Glasgow, hosted by former XFM Scotland DJs. Student tickets are priced at £6.